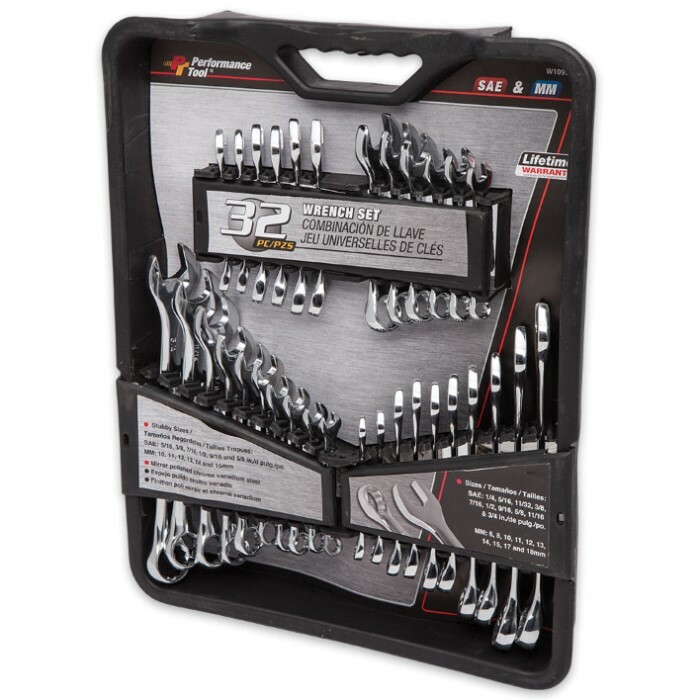 32-Piece SAE And Metric Wrench Set | BUDK.com - Knives & Swords At The Lowest Prices! 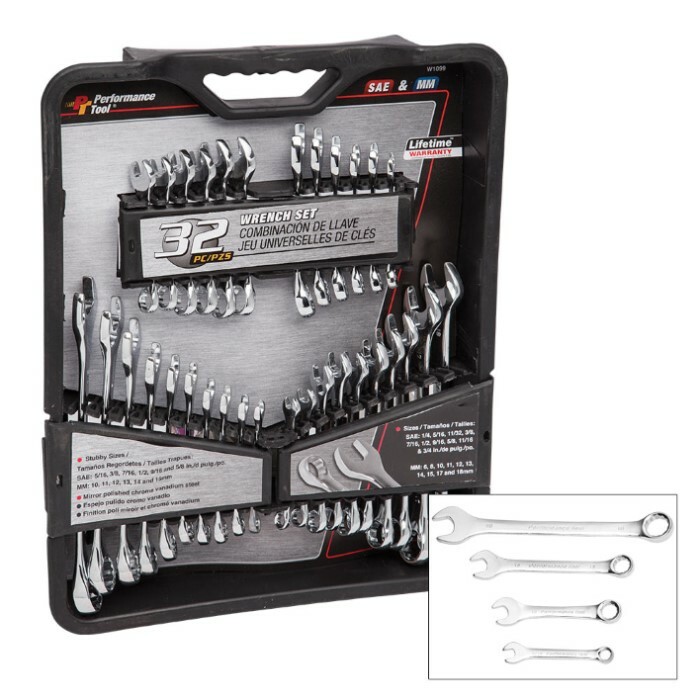 This all-inclusive SAE and Metric Wrench Set has 32 pieces that will cover all of your needs no matter what the job. 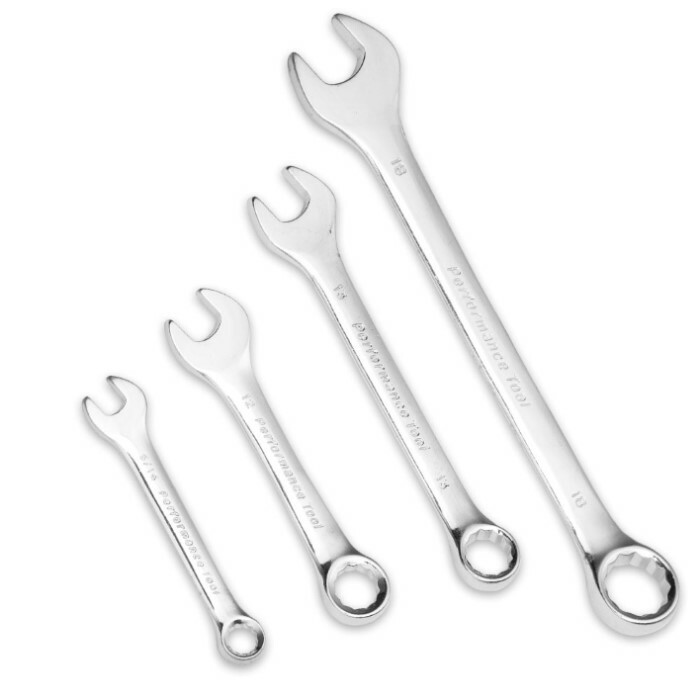 The wrenches are made of mirror polished chrome vanadium steel and the set has SAE and Metric standard and stubby wrenches. The improved box end design grips sides of fasteners for more torque. A convenient storage rack is included.